Yahoo formally killed YUI last Friday, according to the company blog, while reiterating the mission to continue to deliver the best next-generation presentation technologies with an initial focus on internal developers. 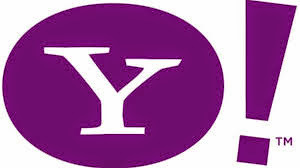 YUI releases will likely be few and far between, and will only contain targeted fixes that are absolutely critical to Yahoo properties, stated Julien Lecomte, engineering director for Yahoo Presentation Technologies. Yahoo is definitely not killing its Web programming ambitions, and are eager to continue working with the external front-end community to share and learn together.